Xray X10 - # 370500 • (Radio Controlled Model Archive) • RCScrapyard. 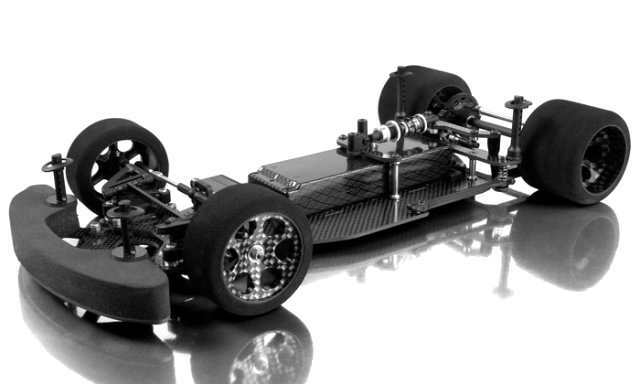 RCScrapyard ► Iconic Vintage Radio Controlled (RC) Model Car Archive ► Xray X10 and X10 Link. 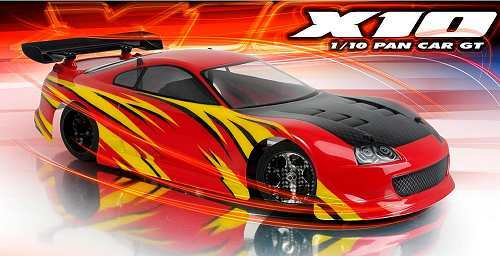 Introduced by Team Xray in June 2009, the 2WD X10 pan car - # 370500 - was based on a graphite plate chassis, with a ball differential, friction plate, with coil spring over oil filled damper, T-bar, alloy bulkhead motor pod and a full set of ball bearings. 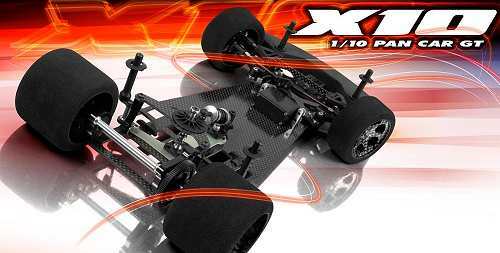 To race the Xray X10, you need to tweak and adjust all you can to give your car improved handling, stability and grip to ease around the curves and keep you on the track. One little setting change can transform your car into a world beater. 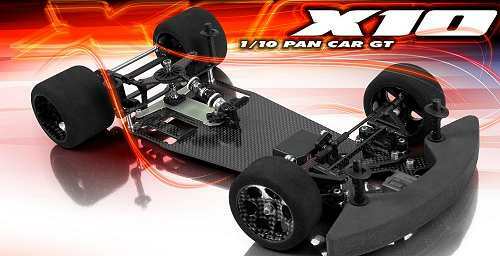 Just follow our chart to attain the most favourable Set-up to suit your particular needs on any track.